If you are probably already playing American Truck Simulator, you might notice that suddenly, after playing for a while, the game might feel quite repetitive. You drive the same routes, use same trucks and deliver the same goods. So at this point, American Truck Simulator mods are the right thing for you. ATS mods allow you to fulfill the game with new trucks, maps and many more. 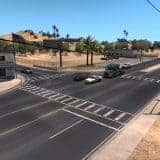 So take a look at our short guide on how to install American Truck Simulator mods and enter a thrilling world of a professional truck driver. Download American Truck Simulator mod, the file format is usually .scs but it can also be either .zip or .rar. If your ATS mod is in .rar or .zip format, unzip it and move it to “My Documents\American Truck Simulator\mod” folder. 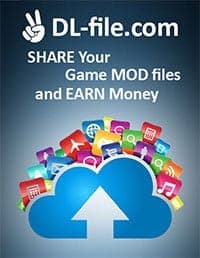 If you downloaded ATS mod that is in .scs format, just copy this file to the same direction. 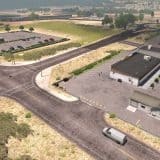 Copy and paste American Truck Simulator mods into: C:Documents/American Truck Simulator mod folder. After you have done all of the steps above, just activate your mods and start using them. 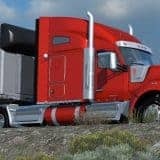 Some of you might be using Mac OS X, so here we will provide a short instruction on how to install American Truck Simulator mods in this case. The answer is quite simple, just copy the zip file (without unpacking it!) of ATS mod into the specified folder: /Library/Application. For unpacking the American Truck Simulator Mod, you can use either WinRar of 7zip.